This is the place to book one of London’s finest professional jazz bands for your wedding, party or corporate function. Over 15 years experience performing Rat Pack classics to modern Michael Bublé hits, as well as hundreds of floor filling classic pop tunes. 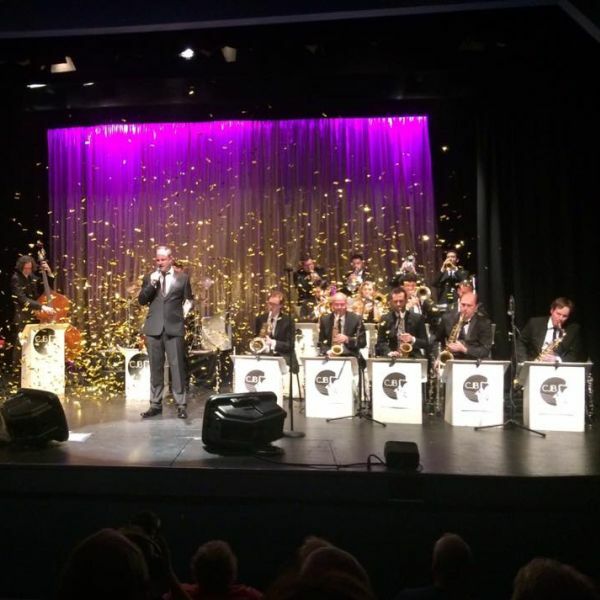 Many clients comment on how versatile the band can be, playing Classic Pop, Latin, Soul, and Big Band songs for all ages and tastes, keeping everyone happy and dancing all night long. All our musicians are regular West End performers, guaranteeing you the highest quality entertainment. Line-Up: Piano, Bass, Drums, Sax, Guitar (& Optional Female Vocals), Trumpet, Trombone, Male Vocals, Specialised sound technician. I would just like to say a huge thank you for helping to make our wedding so special! Our guests were dancing from the moment the band started until the end of the last song, and everyone still says how fantastic it was and how much they enjoyed it! You were extremely helpful throughout, and we were so excited to have our own choice of music arranged for the first dance. I can’t recommend the band highly enough! Forget the traditional awkward wedding party where the dance floor stays deserted until the guests are suitably ‘loosened up’ – your band had the dance floor packed from the first dance to the fantastic finale where the band went walkabout among our guests! The playlist was varied and so many people commented on how the music made the evening reception complete. Thank you!